A true classic! Everything about this tie is British: Wide diagonal stripes, traditional regimental colors, and a fine ribbed pattern in the Mogador-Silk fabric. 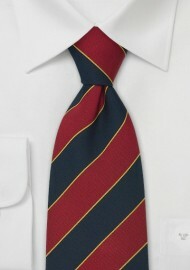 This tie will make add both style and elegance to your suit and tie look. This necktie is made from unique Mogador-Silk. 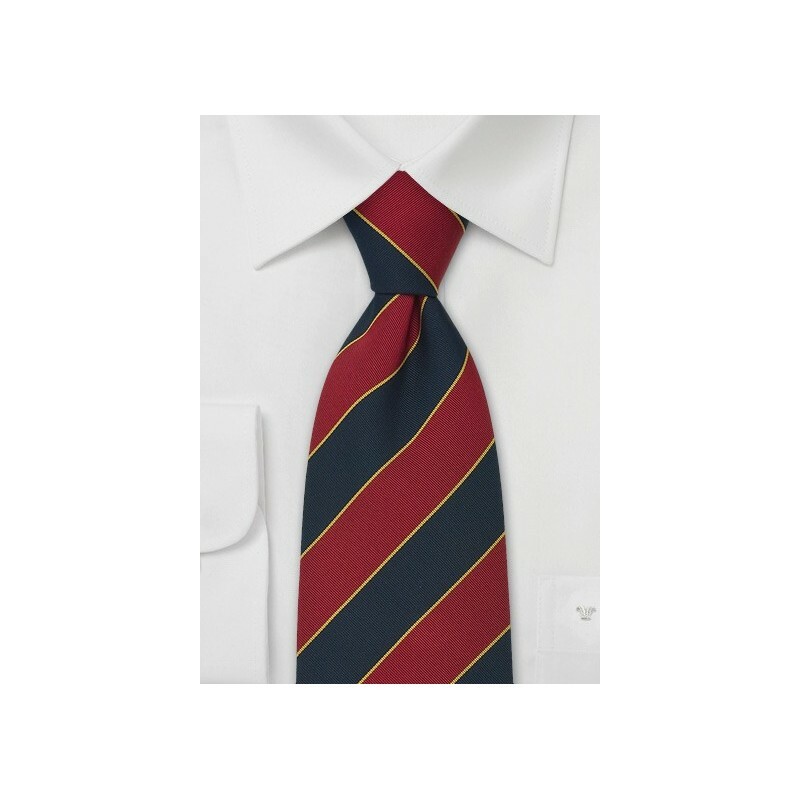 Mogador-silk is the traditional fabric used for British regimental ties. Only few manufacturers understand the art of weaving this unique fabric like Parsley Luxury Neckwear does. Made in extra long length of 61”, this tie is perfect for big & tall men. If you are above 6 foot 3 inches, then extra long neckties will be the right fit for you.